CHICAGO, Dec. 26, 2013 /PRNewswire/ – Jones Lang LaSalle’s (JLL) research experts have polished off the firm’s crystal ball and it reveals a clear path to stronger performance expectations for commercial real estate in 2014. 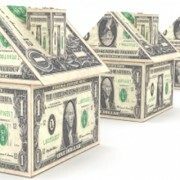 The firm’s top researchers believe the “global real estate disconnect” between buoyant investment markets and more cautious leasing markets that existed during 2013, is narrowing inthe United States as the nation’s recovery broadly diversifies ahead of many of its global counterparts. JLL’s 2014 global viewpoints point out the surprising upsides in investment sales volume in 2013, largely attributed to the weight of money flowing into the asset class, an improving lending environment, the heightened appetite for risk and investors’ movement into secondary markets. These factors are expected to continue to move the sector forward in the coming year with global investment volume growth of 10 percent year-over-year to $550 billion in 2014. The firm expects particularly strong gains on the U.S. horizon with further gains in more diversified investment across primary and secondary markets and sectors. JLL is less exuberant on the global leasing market forefront. “Global leasing volumes for the full-year are expected to be flat, and in most markets and countries, 2013 is likely to turn out to be a weak year for rental growth,” added John Sikaitis, Managing Director of Office Research for Jones Lang LaSalle. Corporate profitability is high and occupier sentiment has improved markedly over the last quarter, however, and leasing markets will move from flat globally in 2013, to slightly improving growth of leasing volumes of 5 to 10 percent in the year ahead. There remains a wide variation in leasing momentum across geographies around the world. In the United States, the office leasing forecast is brighter based on the market seeing demand diversifying and supply dwindling: U.S. Cross Sector Report. CBD locations have shifted to landlord-favorable conditions in the vast majority of markets driven by the highest quality and most efficient buildings with potential rent spikes ahead in these segments of the market in the next 24 months due to limited construction. While new office development is steadily increasing, especially in tech-rich and energy-heavy geographies, overall construction levels will be below trend until at least 2015. With limited new supply delivering ahead, mid-sized and large tenants, especially in America’s CBDs, will face challenges in 2014. Demographic dynamics: Demographics will play a stronger role in the U.S. office market in 2014, as the millennial generation demands a sense of place and increasingly urban or quasi-urban environments. The suburbs are not dead, but will increasingly diverge further into two markets; choice locations on amenities, transit and with a sense of place will heavily outperform suburban locations lacking those characteristics. The pace of recovery expected to appear slower than past cycles: While the recovery is gaining momentum geographically and across industries, the pace of the recovery will appear slower than past cycles as a result of aggressive space utilization measures adopted by most industry sectors. Traditional office users like banks and law firms are doing more with less and high-growth innovation-based industries are leading the trend in efficient and modern workplace standards and utilization; this will place a ceiling on heightened absorption levels in any given quarter for the foreseeable future. JLL also expects office rent growth to pick-up modestly into 2014. Tech and energy markets will not be the only markets to see rent growth. Overall, Jones Lang LaSalle is forecasting office rents to grow at a 5.5 percent clip in 2014 with net effective rents climbing even higher due to shrinking concessions. “The big takeaway that we are starting to see is that after two to three years of a very siloed recovery in the energy and technology market, demand is starting to diversify,” said Sikaitis. “Now, we are seeing a lot of markets contribute to higher leasing volumes, giving viability to the recovery we haven’t seen in the past.” Sikaitis shares his perspective on the accelerating recovery and factors that will impact 2014 in this short video. Many industries are now recouping job losses from the recession and this – after occupier downsizes and space considerations in prior years – will create additional demand for commercial real estate. Every new job in a given sector and region produces or typically correlates highly, with other jobs being created in other sectors in that region. These jobs are known collectively as indirect jobs. These jobs in turn have a multiplier effect and thus create additional demand for real estate.